Flexibility in cabin seating is a major trend today, with one of the first designs to meet this demand being the Skycouch, designed by Air New Zealand and launched in 2011. When Skycouch is booked, a row of three economy seats can be converted into a flat surface that makes for a double bed on a budget, and a great way to keep kids happy as they can safely sprawl or move around the space. The (minor) catch was that infants were required to be seated on a guardian’s lap when the seatbelt sign was illuminated. 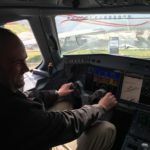 However, having listened to customer feedback, a dedicated infant harness and belt is now being introduced, which means that tiny travelers can remain lying down throughout the cruise phase of flight. 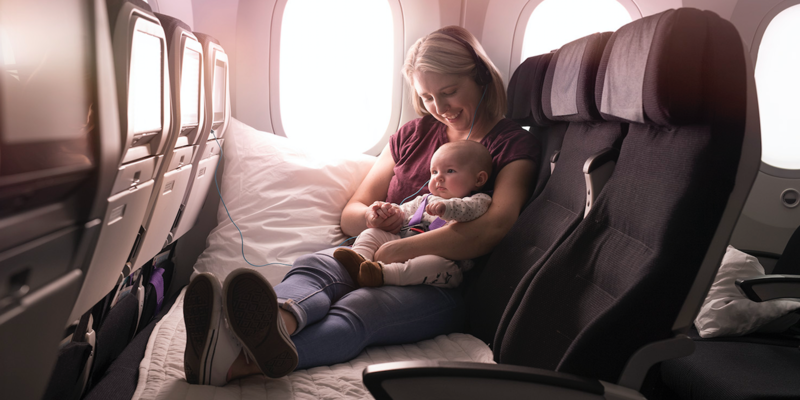 A new infant pod has also been developed to provide additional comfort and protection for an airline’s youngest Skycouch customers. 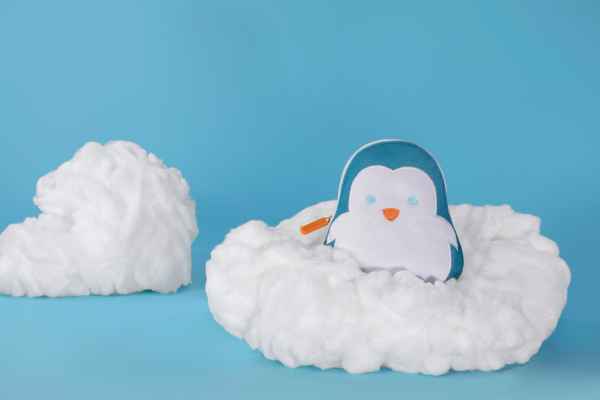 The Skycouch enhancements don’t end there, as the ‘Cuddle Belt’, which was previously only certified to allow two adults or an adult and child traveling together to lie down side by side, has been updated to allow two children to use it. 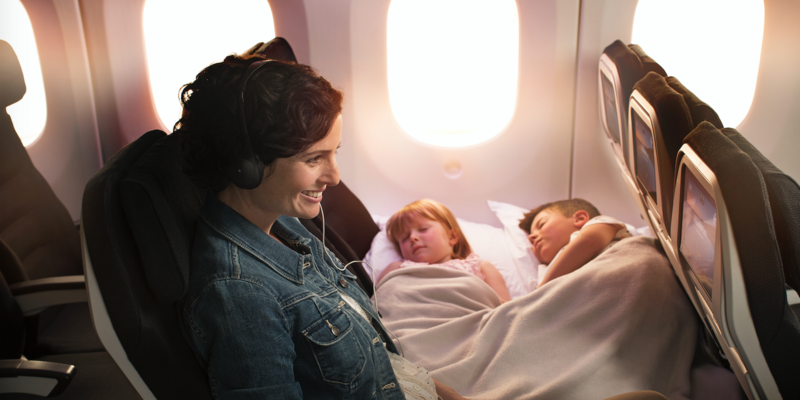 This new feature will provide greater flexibility to families, who have more options to arrange themselves between two rows of seats, perhaps leaving two children to sleep while they relax with a movie. Pending certification and regulatory approvals, Air New Zealand intends to make the modified Skycouch product available on board its Boeing 777 and 787-9 Dreamliner fleets in the coming months. These improvements will also be made available to offshore airlines which are flying the Skycouch design under license. 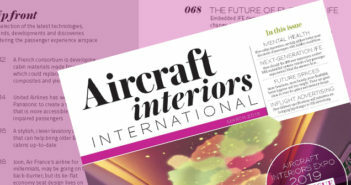 The airline will be displaying the updated Skycouch at Aircraft Interiors Expo in Hamburg from 10-12 April 2018.